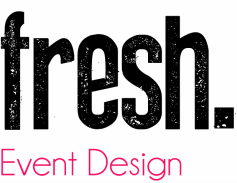 Fresh Event Design is a niche event planning firm specializing in corporate events such as client appreciation, product launches, grand openings, holiday celebrations, employee incentives, meeting planning etc. A large scale gala fundraiser, a small intimate dinner party, or a corporate retreat, leave the details to Fresh and expect to be impressed! We offer professional, efficient and unique event planning services for today's busy business person. Ask about our photo booth rentals, a great addition to any event! Fresh is based out of beautiful Kelowna BC, in the heart of Okanagan wine country. Rolling vineyards, lush gardens, picturesque mountains and breathtaking views create the perfect backdrop for your next event. As each event is unique please Contact Us and we can have a conversation regarding your specific event planning needs.